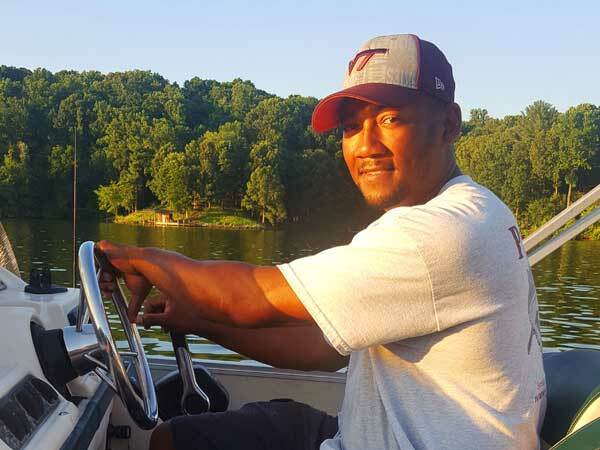 Captain Wendell is a fishing guide on Smith Mountain Lake. He has over 20 years of experience. The captain supplies everything needed for the fishing charter except your fishing license. Fishing licenses can be purchased at www.dgif.virginia.gov/licenses. You will enjoy the comfort of fishing out of a roomy 23 foot Hurricane Deck Boat that has a full bimini top that will protect you from inclement weather and the blistering sun. The captain’s boat is powered by a 2016 V-Max Yamaha 225 and equipped with seven foot Ugly stick rods, 6500 class Abu Garcia reels and top of the line touch screen HDS 12 Lowrance fish finder. His charters take place out of Westlake Waterfront Inn. 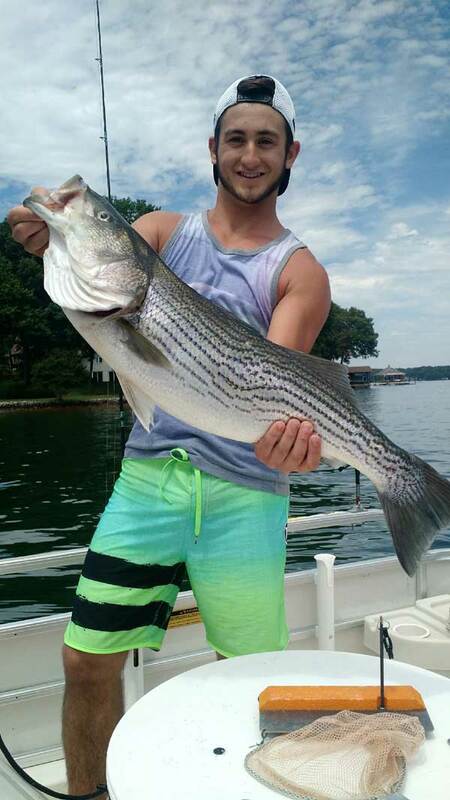 "For over 20 years I have fished hard for striped bass, on Smith Mountain Lake and I will be the first to tell you that when it comes to fishing some days are better than others. I will assure you that every day I will give it 100%." "This past Thursday on July 26th I went out with Capt. Wendell along with my dad, uncle, and cousin and I had one of if not the best fishing experiences of my life. During our time out we caught about 25-30 fish and had a blast doing so. Capt. Wendell is very easy to get along with and nows what he's doing, it was a very exciting and thrilling experience. " "I along with 3 people went on a trip recently with Capt. Wendell. I've been on numerous guided fishing trips from Texas to Key West, and this was one of the best yet. Capt. Wendell is not only easy going and easy to work with, but he PUTS YOU ON THE FISH! Between the 4 of us, in 3 hours we caught over 25 fish. We were catching fish while the 3 boats around us sat catching nothing. Definitely recommend it, we will be back again." " Captain Wendell get us right on the fish. We got 2 before we even get the lines out. Great guy to spend the day with and do business with."